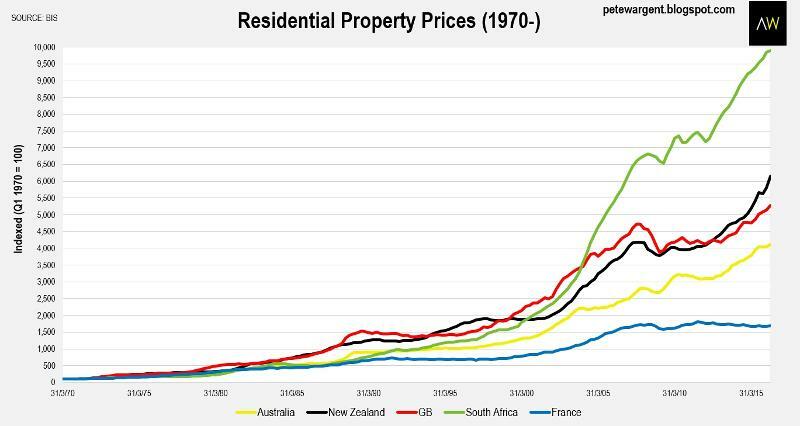 As can be seen below, Australia has greatly lagged many countries in terms of property price growth since 1970. And these figures don't even show places like Singapore, Hong Kong or any of the Chinese cities. ALSO see below "Housing bubble? 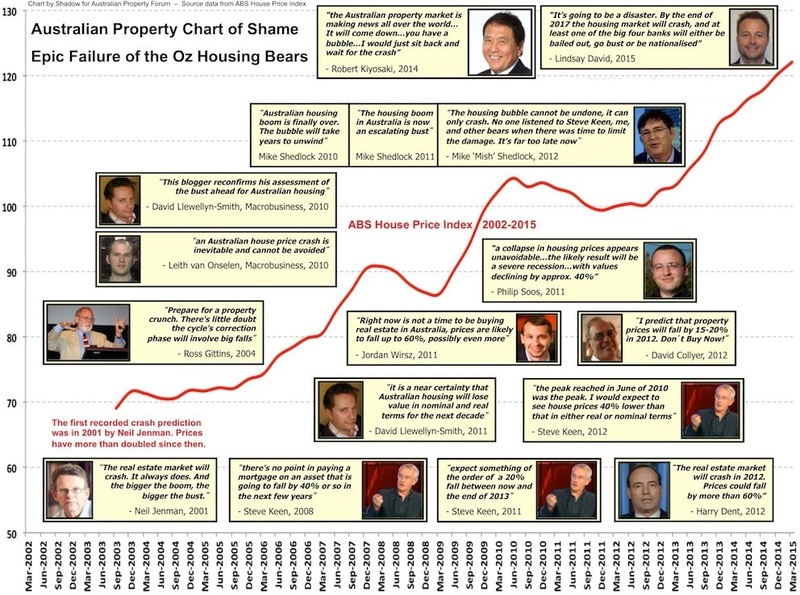 Seven graphs that show why you shouldn't worry"
There are so many views and arguments about the Australian housing market, and whether there is a bubble. What's most interesting, is many of the articles and stories only look at Australia in isolation, not comparing it to other countries, or if they do, they try to use things like rent to house price as an equation etc. What is less well understood is the "bubble" has been running for twenty years now. And every time it has threatened to burst it was saved. Critics say it was "luck" and the Hall of Shamers who have been wrong for 40 years, with the most pronounced ones being extremely wrong for the past 15 years, keep revising their predictions of the bursting of the bubble every few years, hoping to get it right at some time in the future, so they can claim to the person who predicted the bubble burst ! See Chart of Shame here. In 2003, the bubble first threatened to burst as the Reserve Bank raised interest rates. But the bubble was rescued by the combined forces of demand side fiscal stimulus for first home buyers in the form of cash grants, and the arrival the Chinese commodity boom that flooded the economy with people and income. In 2008, the bubble was jeopardised again when the pipeline of offshore debt froze solid and major Australian banks were rendered insolvent given they could not roll over their enormous foreign debts. The government of the day rode to their rescue with guarantees to all offshore funding, directly bought mortgage backed securities (which it still holds), unleashed fiscal stimulus, increased the first home buyer grants, and other measures. ack. No housing market in the world enjoys such wholesale and limitless support. In 2011, the bubble again faltered when the China commodity boom returned and raised interest rates. But, the bubble was bailed out, this time by a central bank that cut interest rates to all-time lows (for Australia, although still high on world terms). Those three saves of the bubble have been widely admired as solid Keynesian policy-making, and have allowed Australia to claim a economic expansion of 25 years. Migration levels means alsothat in the major eastern cities there will be a near doubling of their populations within 40 years. Is there an affordability issue in Australia?